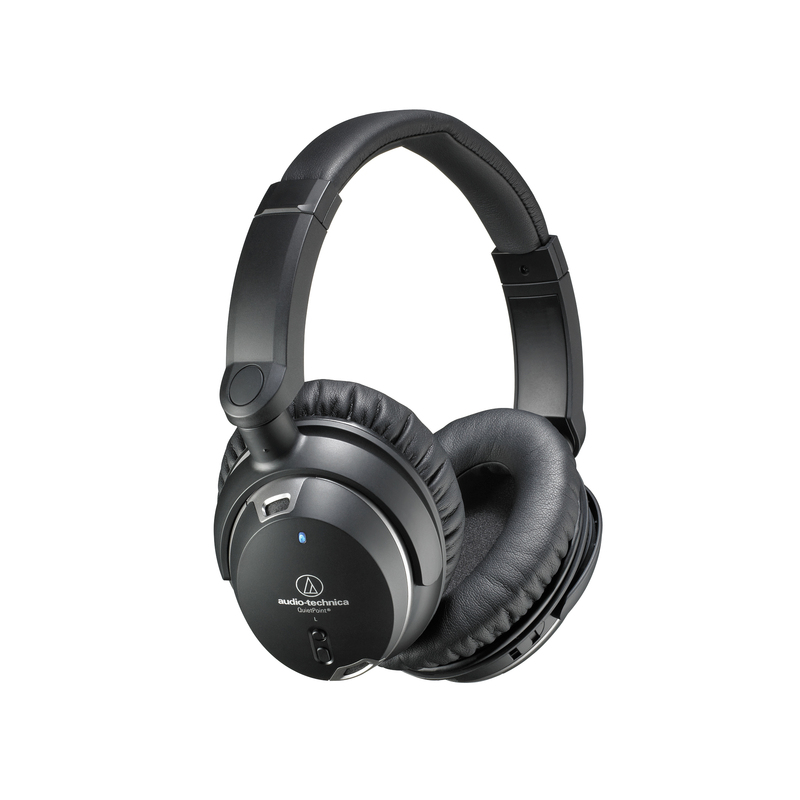 In addition to cancelling up to 95% of ambient noise Audio Technica ATH-ANC9 QuietPoint headphones also feature three noise cancelling settings for different environments, an inline microphone for answering calls and controlling music, and luxurious memory foam padding on the headband and ear cups. 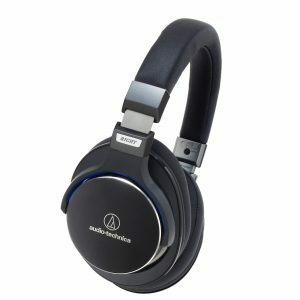 95% is the highest noise cancelling performance ever achieved by Audio-Technica. Four miniature microphones, two in each ear earpiece, sample ambient noise (traffic, aircraft engine, etc.) and a generate an “antinoise” signal to effectively cancel it out. 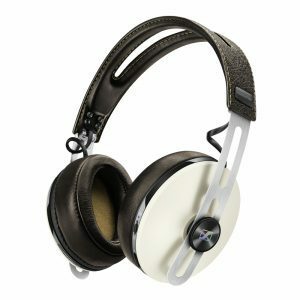 Once that is achieved the benefits of Audio-Technica’s 40 year history in headphone design and manufacturing becomes very apparent. With powerful 40mm drivers and newly developed electronics delivering, clear, and natural full range sound with authoritative bass, a detailed midrange, smooth, extended treble and precise imaging. Three selectable cancellation modes provide filters for different environment noise conditions with upto 30 dB reduction. Mode 1 is ideal for use on airplanes, trains and buses and applies maximum noise-cancellation at low frequencies. Mode 2 is designed especially for noisy offices and crowded places, and targets midrange frequencies. Mode 3 is best for already-quiet locations like libraries and creates a pristine, peaceful environment ideal for study and zoning out. 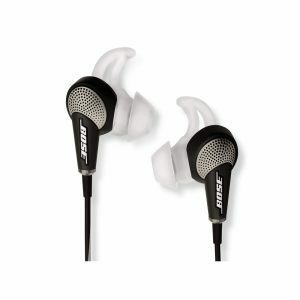 ANC9 comes with two detachable 1.2m cords, one is a conventional cord for in-flight, the other features an inline microphone and controller for answering calls and controlling music. Ideal for use with iPhone, iPad and many iPod models, the omni-directional microphone picks up a wearer’s voice without the need to speak directly into it. 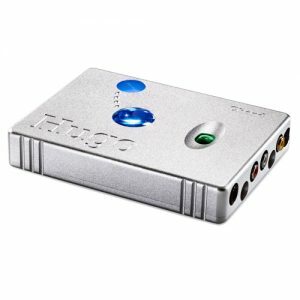 The controller enables the user to play or pause music, answer and end calls, and go to the next or previous track. As with all Audio-Technica ANC headphones the ANC9 will continue to work passively should the single battery runs flat. The complete package, which retails for $299, includes a semi-hard zip-up travel case, AAA battery (good for around 30 hours), airline and 6.5mm jack adaptors, and 2 detachable cables (1 with inline control/mic). Accessories:Semi-hard zip-up travel case, AAA battery, airline and 6.5mm jack adaptors, and 2 detachable cables (1 with inline control/mic).